First step: a little walk to the Central Market, grocery shopping! 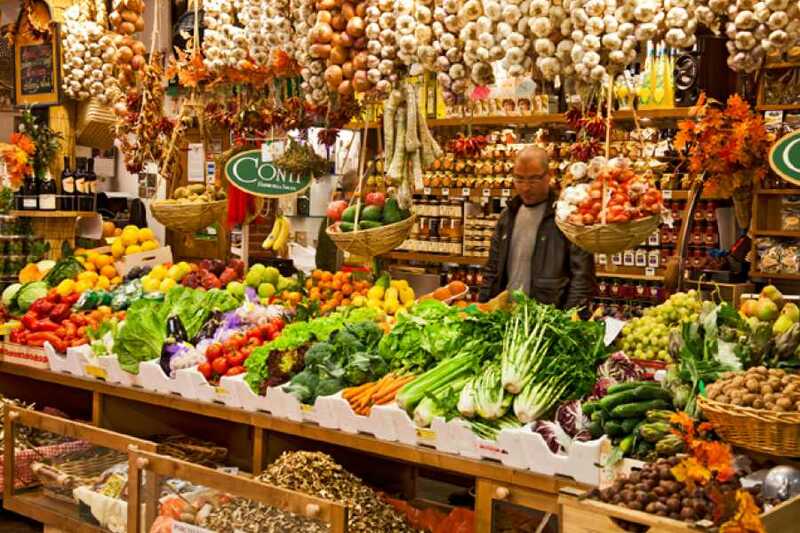 You will go shopping with the chef at the central market, picking up the ingredients for your lunch. You will meet the butchers, the bakers, and the farmers selling vegetables from their gardens. 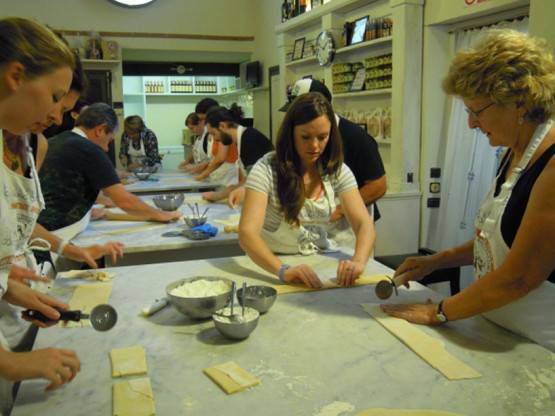 You will learn how to distinguish the highest quality ingredients and taste local and typical products! 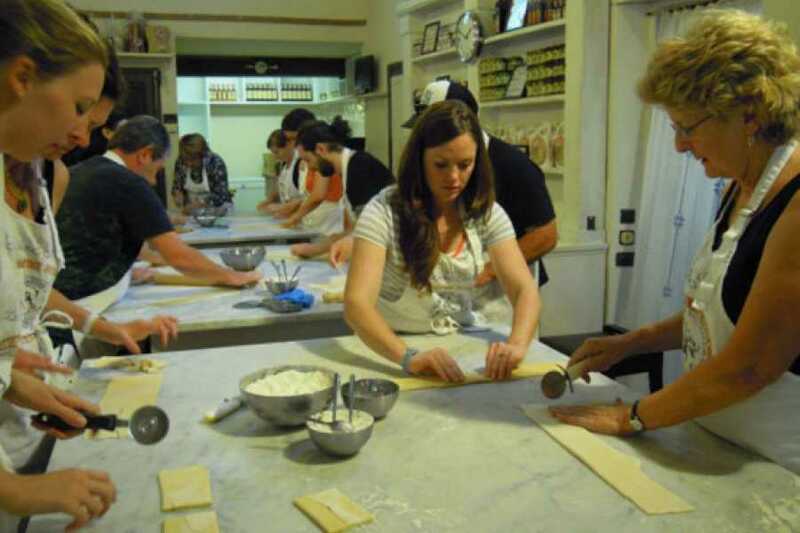 After this fun experience you will reach our fascinating home-like professional location, just a few steps from the central market, where you’ll enjoy a delicious tasting of typical products and you will start putting your hands on the ingredients to create your own meal, driven by the expert guidance of one of our Chefs. Your menu may slightly vary depending on the season and the availability of fresh ingredients, but will usually consist of bruschetta, different kinds of fresh home-made pasta from scratch (i.e. tagliatelle and ravioli), sauces for the pasta, and a dessert. In the end you’ll eat the meal you prepared yourself, accompanied by two glasses of selected Chianti wines. Please note that when the Central Market is closed (on Sundays and bank holidays) a special introduction and extra tastings at the cooking school will be substituted instead.